Our Director was recently humbled to be asked by the Kitenge Africa Foundation to become a trustee of their fervent and sincere charity rescuing street children in Kampala, Uganda. It was set up by Koojo Justus Kojax, a dynamic entrepreneur, former model with a passion to bring hope and love into these unsettled children’s lives. Helping giving them back their childhood while educating them and equipping them with husbandry and vocational skills which will help give them confidence and independence to get jobs with the aim to meet the world head on as equals. Vanessa Champion, Director of Dragonfly Communications, went to Uganda for the first time in November 2012 and was so surprised by the warmth, love and positive activity that is happening in this former war-torn and troubled country. Through business investment, the church and many many generous hours of people’s time, there is a change happening. And it is happening fast. Philanthropy, investment and determination is rebuilding hope, sustainable business and healing shattered lives. 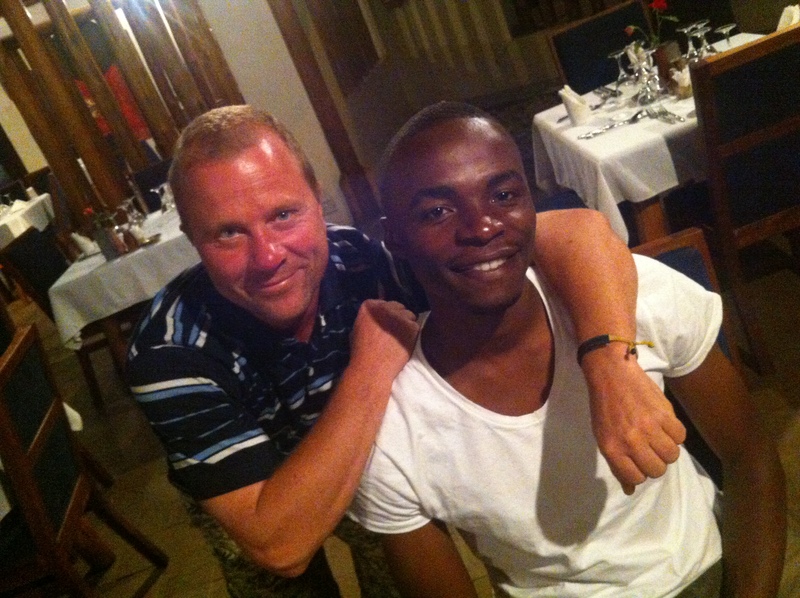 Left to right, Kevin Ramussen from Denmark who is helping build the school with Koojo Justus Kojax, Founder of the remarkable Kitenge Foundation, bring hope, education and safety to children from the streets in Uganda. While out there she was introduced through London-based HABA, to Justus, an extraordinarily self-motivated and honest businessman. We interviewed Justus to see how we and maybe you could help further. His interview is below. But before we get there, what is it they say? “Many hands make light work”? Even a little from many can be worth more than much from one. The children write to many of their supporters here in the UK and America, writing to school children of their own age, to mentors, to teachers, to friends. It gives them hope and they love to hear from you too. Maybe email them? Or donate or send a little something? 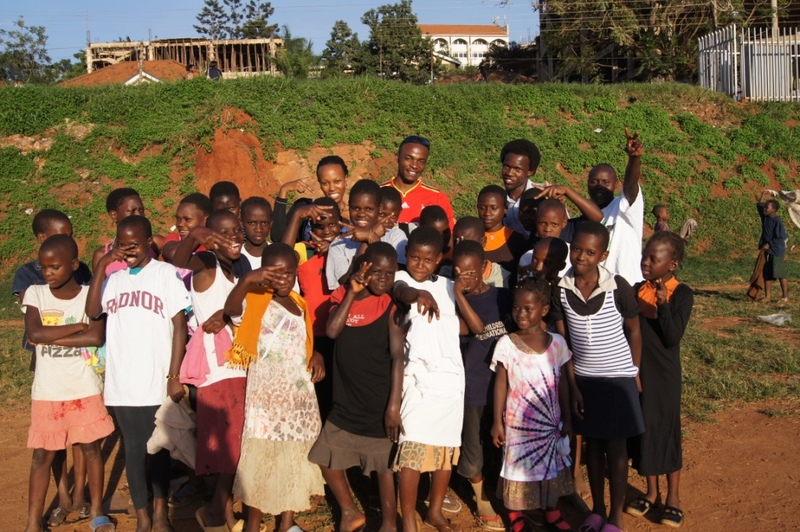 Justus standing with the children he has rescued from the streets in Kampala. Happier, healthier and safer. What compelled you to start the project. I was humbled by the plight the street children lived on a daily basis, as well as the rejection and discrimination they receive from the people. Many judge these children unfairly and consider them nothing but cheats. 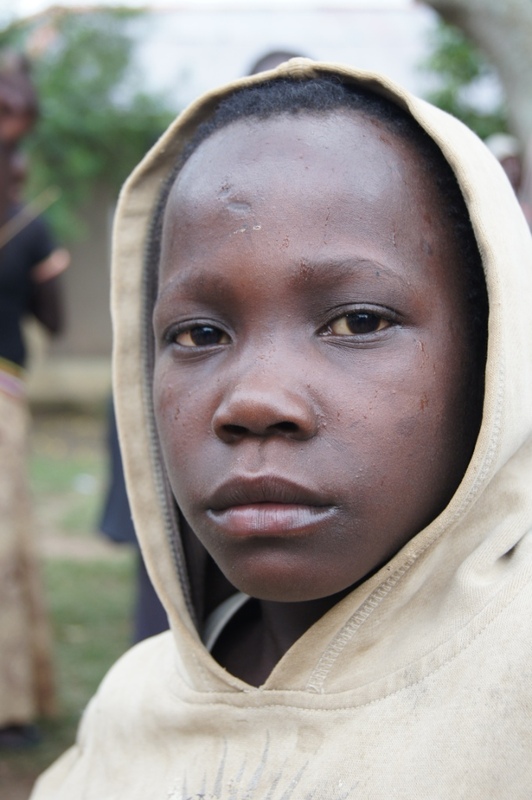 It was in October 2008, I was 19 years old when I first got the opportunity to identify with street children, and I was amazed by the respect and discipline they kept before me however crushed by the plight and struggle they had to endure each new day. This compelled me to set aside days, mostly afternoons at weekends, where I took them out for a lunch or dinner just to chat and spend time together. The bond grew stronger and that is when I started to provide their clothing, shoes and helped to give them the chance to wash, bath and have a haircut. This later became a routine where they came to a public playground every Sunday evening between 3pm-5pm for a nourishing meal, minor medical attention, clothes donations, opportunity to bath, sports and games, a counselling session and relational talk which lead to us starting our Street Outreach program which we still do even today. That is an amazing story, Justus, to be so giving with your own time, and so honest in your compassion. What is your own background? I have been very ambitious all through my life as I have lived a life where my dreams, responsibilities, personality depict an older self than I by age. In my high school vacation, I was only 18 years old when I started a clothing business where I traded ladies and gents wear. This left me with good exposure to business operations, the attitude to save and good management skills as well as quick decision making and independence. Not a year later, I also started a small electronics store where I was dealing with refurbished gadgets like laptops, mobile phones, digital cameras, music players and accessories. This left me with so many financial management skills, customer care, marketing and public relations experience. At the same time, I was a city model under Arapapa, one of the biggest agencies in Uganda at the time. In 2010, I got into the tourism industry having realized that many of the volunteers that come down to work with the children desired traveling and touring around at the end of the day and likewise, tourists that have only come to admire beautiful Africa also have big hearts for charity. So I am Assistant Director, to 1000 Shades of Green Tour and Travel-Tourism www.gogreensafari.com. You face many challenges, but what are the most pressing ones? Feeding is key as the children must eat on a daily. 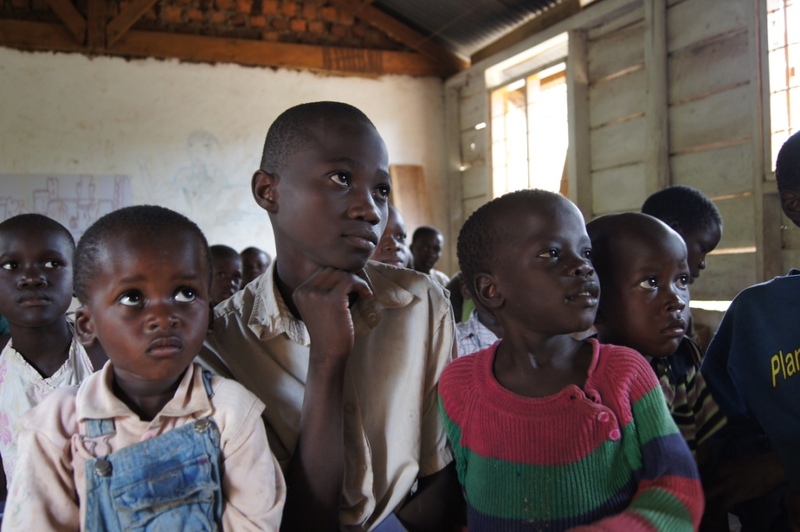 Teachers, more qualified teachers are needed on ground; a school of 783 children has 10 teachers that is a challenge. 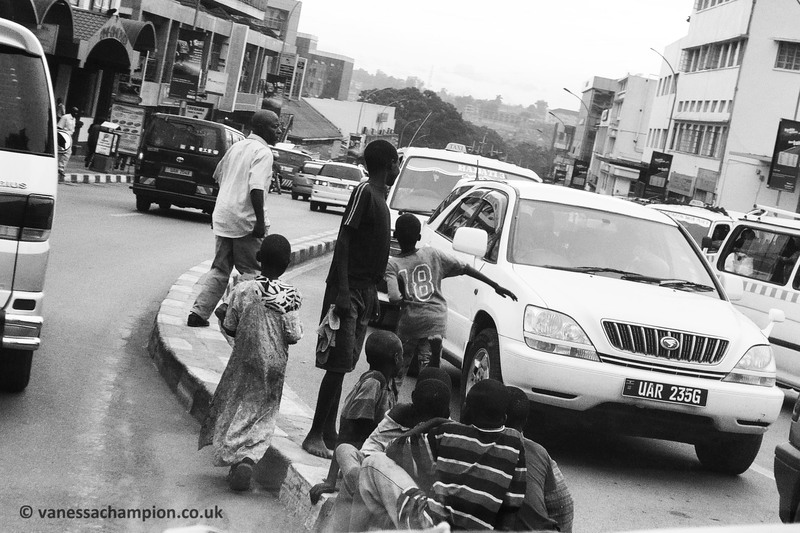 Helping as many children as they can, Kitenge are giving hope, light and love to many street kids in Kampala. What is your dream for the school and the children? We have already procured the land where we want to seat our education facility. A better school to benefit the entire community with a provision of accommodation for the children and volunteers, study classrooms, laboratory and library. There will also be technical and vocational training skills facility that will ensure every child has a life skill they acquire besides education. Do you have a need for teachers and volunteers? We are in great need for teachers, counselors, medical personnel, sports facilitators, photographers/media personnel, constructors, artists, (all professions can be sure to find a place they can volunteer and will feel much satisfaction of their time and effort). Staying full time at the school. This option gives you all the time you need with the children and community in the village. Meals and accommodation is at the school with the children. This means that you can volunteer in your area of profession conveniently. Working with Kitenge is one of the most rewarding experiences you’ll have in your life. Short term and long term opportunities. For your next holiday, why not head out and teach, make a difference for a fortnight. You’ll return changed!!! And you will know that you have helped transform lives. Staying within the village Hostels: This accommodation arrangement is also very convenient and reliable as the hostels are about 2 kilometers from the school and still within the village. Transportation is by a motorbike back and forth the school and meals may be had both at the school and the hostels. The rooms are self contained and in a very good and secure farm environment hence good privacy. There is a solar power here so gadgets such as laptops, internet, and mobile phones can be used conveniently. Staying with in Mpigi Town at the hotel: Accommodation is secured at beautiful and cheap hotel with in the Municipality of Mpigi district. The hotel is up on the hill with a beautiful view of the district of Mpigi. With this arrangement, volunteers need to commute to the school every day by a motorbike or vehicle. The school is about 8Kilometers from the hotel. The hotel has hydro power hence giving provision to use gadgets, internet and mobile phones also with very nice and private self contained rooms. You can help Kitenge, by sending in gifts for the children, helping sponsor a child, getting your school to write to the children, fund raising, going out there to teach or help build the schools. Or just emailing or messaging them and sending love and support to the Foundation and maybe a special message to the kids, they would SO love that (you can even buy a chicken for or a pig!). Thanks for reading the interview with the Founder of this amazing charity, Kitenge. We all make a difference every day to the world we are in, showing compassion and love to those around us are two of the greatest gifts anyone can give another human being. Listen to your heart and value everything your life touches. 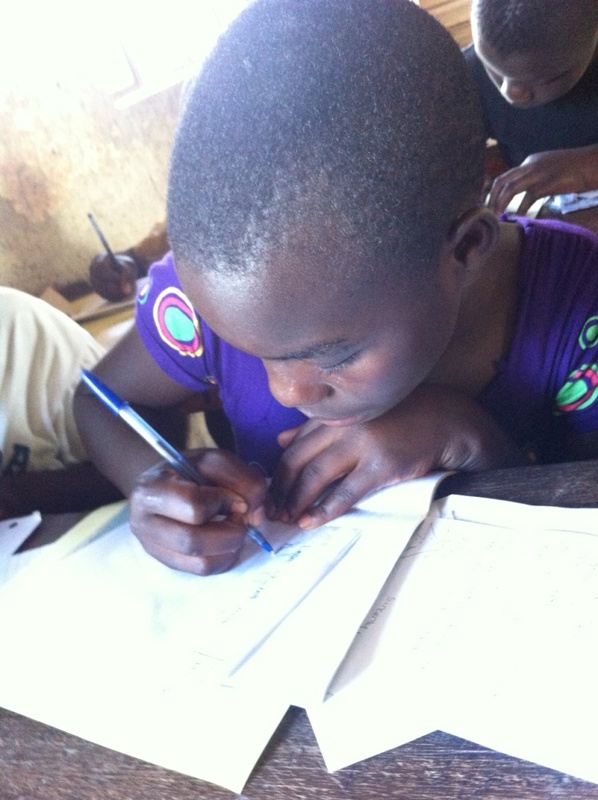 If you can help Kitenge, your word, gift or action will help continue to bring light to their darkness. 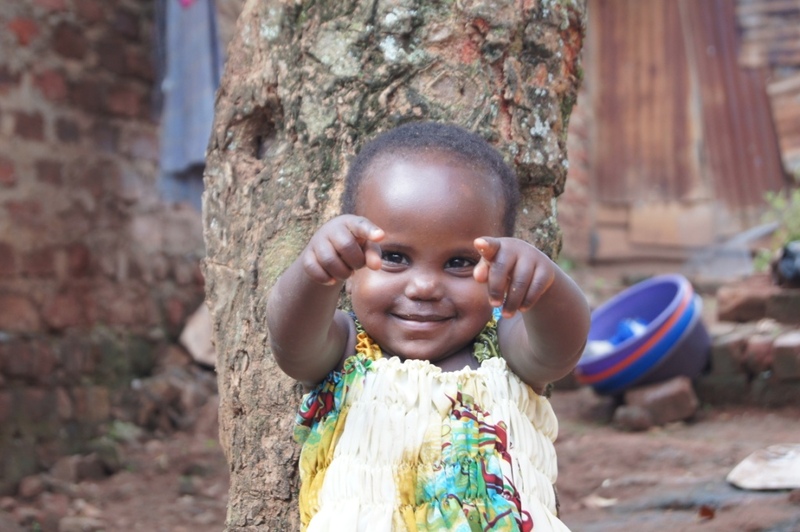 Rescued from the street in Kampala, given a new positive start in life, she too, will survive, learn, keep well and be able to help give back and educate when her time comes too.